Hot like wasabi when I bust rhymes, like Leann Rimes, because I’m all about value. The ETA 988.333 is a part of a family of movements that came from the 80s and continue into today. They’ve been used in watches such as the Bell & Ross Function Index (988.432), the Citizen Independent ITX21-5001, the Tag Heuer Multigraph, Junghans Apollo, Victorinox Chrono Classic XLS, the Alain Silberstein: Rondo Nomade Chronograph. Tissot made one in Titanium, the T-Classic PR50 Seven. Even Luminox gets in on the fun, with the Luminox Men’s SXC Space Expeditions Anadigi Watch 5241.XS. And best of all, they’ve been used in the Breitling Aerospace Evo. Breitling gets a variation on the movement, with a slightly larger font in the lower LCD, but for the most part, these movements are interchangeable. In fact, on the rare occasion that something goes wrong with one of these movements, rather than servicing, it’s easier to just replace it with the movement from one of the more affordable watches I named above.What’s so utterly cool about this movement is that you get the reliability of quartz, the functions you’d care about out of a 1980s Casio, made by the Swiss, with analog hands… and it’s all operated by a single crown. No need for an octopus’ garden of pushers at every corner of the case. Just, the one crown, thank-you-very-much. It violates every sense of purist notion to put a movement from a Victorinox into a Breitling, but they’re both ETA, both from the same family, and if you’re into function, it’s the easiest way to keep it alive. 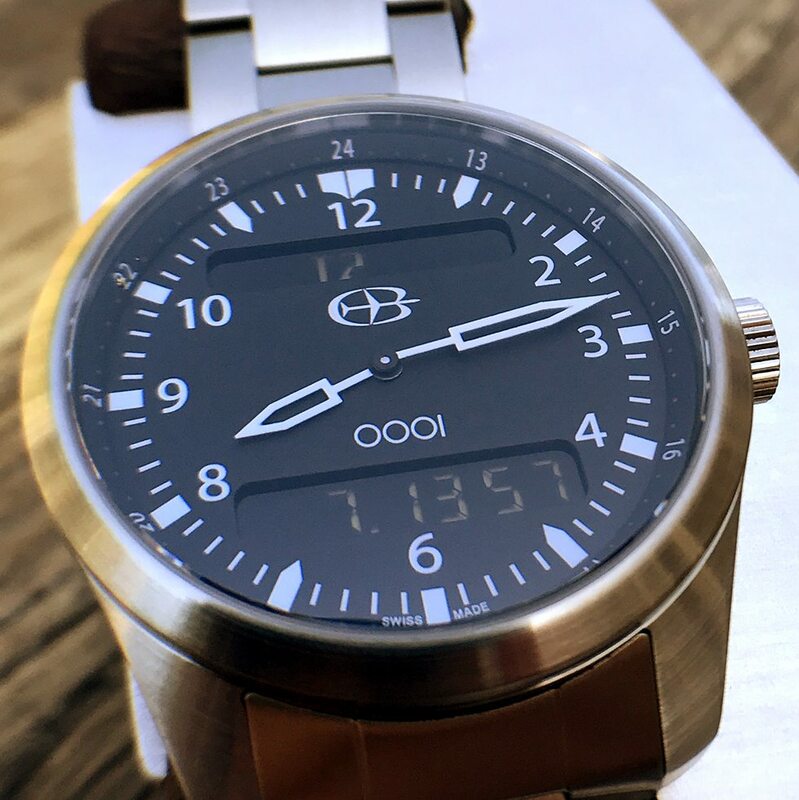 At the same time, if you’re solely into function, you could just buy one of the more affordable watches with the ana-digi movement to begin with. The Butler OOOI is a beautiful watch, and I’m all about value. It’s $500 USD on Kickstarter. And I’m not crying, for your information, there’s an inflammation in my tear gland.